Universal plans to launch a monster movie universe with Tom Cruise's The Mummy, a reboot of the studio's classic scary movie franchise and a re-reboot of the late '90s Brendan Fraser trilogy. However, despite the lofty expectations surrounding the film, the attachment of a huge star in Cruise, and the name recognition of the titular monster, The Mummy wasn't able to scare up viewers in its opening weekend, debuting to an underwhelming $32 million domestic gross. The disappointing start for the thriller likely won't unravel the Dark Universe, but it still spells trouble—and it also represents another failure for a bumpy summer box office. Although Universal was certainly hoping for a less terrifying opening for The Mummy, there were actually quite a few warning signs leading up to its debut. Here's why The Mummy was DOA. The Mummy was absolutely trashed by critics, quickly falling beneath a 20 percent on aggregator service Rotten Tomatoes. Reading individual reviews also offers few good omens for The Mummy, with some even calling it Tom Cruise's worst movie. Indiewire's David Ehrlich called the film "an irredeemable disaster from start to finish, an adventure that entertains only via glimpses of the adventure it should have been." Vulture's David Edelstein said it hits its marks—but they're "so low and so brazenly mercenary that it doesn't feel like much of an achievement." 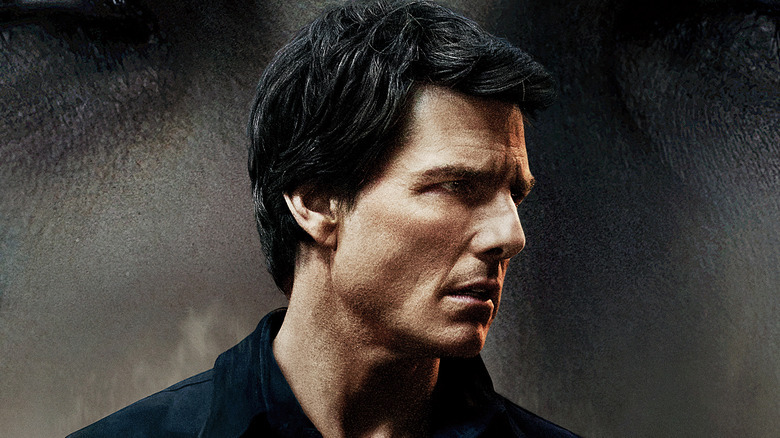 Rolling Stone's Peter Travers called The Mummy "a monster fail," while The A.V. Club's A.A. Dowd said it was "noisy but rarely exciting, heavy on whizzing and whirling special effects but light on wonder." It's hard to find anything positive to say about the movie—even those who gave it fresh reviews mostly just deemed it tolerable, rather than actually entertaining. With so many other options out there, viewers have little reason to head out to a movie that was so thoroughly trashed by critics. The classic 1932 The Mummy is a far, far cry from the 2017 version, despite the fact that the newer movie purports to be a reboot of the original. 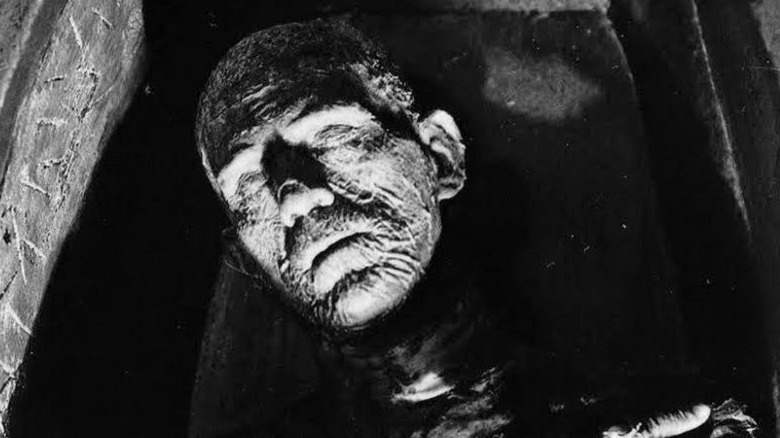 The movie, which starred Boris Karloff as the mummy Imhotep, relied on quieter, atmosphere-drenched horror that kept viewers on the edge of their seats without aggressively trying to scare them at every turn. The new movie, on the other hand, goes for near-constant CGI thrills that are more visual surprises than actual scares. Fans of the original will see almost nothing familiar in the reboot, aside from the title. Younger audiences may be more familiar with Brendan Fraser's Mummy trilogy, which emphasized campy fun, anchored by charismatic stars in Fraser's Rick O'Connell and Rachel Weisz's Evelyn Carnahan. 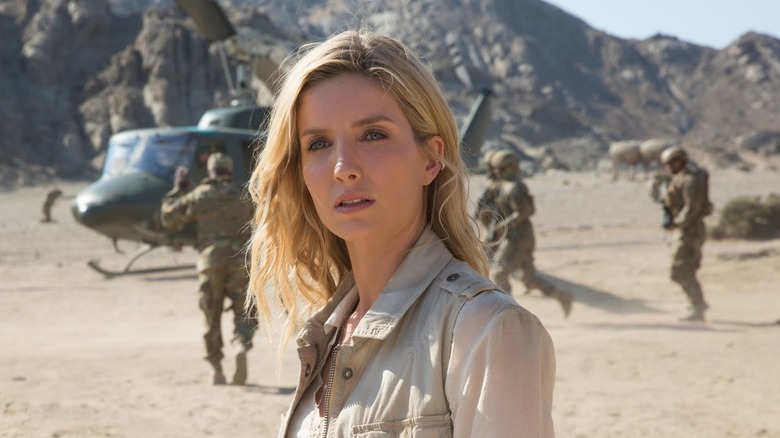 Cruise's Mummy, though, underplays the actor's natural charm and pairs him with a boring, indecisive female lead in Annabelle Wallis' Jenny Halsey. Unlike the new Mummy, which was sold as the launch of a cinematic universe, Fraser's Mummy wasn't concerned with any setup or larger expectations; it was a movie no one expected to be a hit that did better than it should have because it connected well with audiences. That version of The Mummy also had a bit of help in selling its story though its 1920s setting, which gave more of a period feel to the classic monster; Cruise's version, meanwhile, takes place in the present day, a move that arguably takes the film even further from the classic adventure story it wants to be. 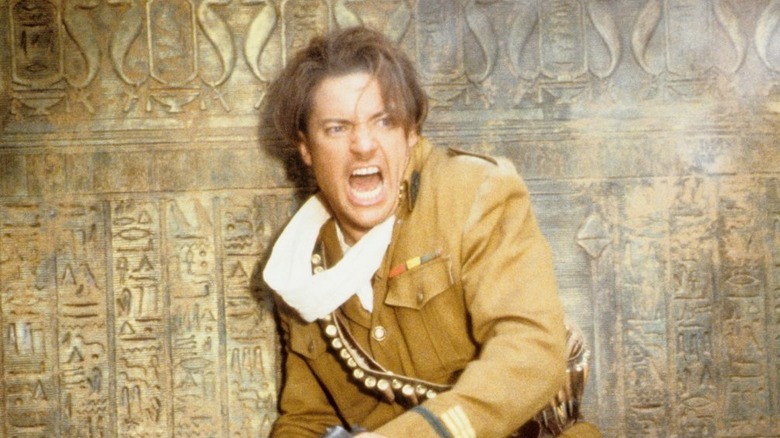 Fans of Fraser's Mummy movies have been decidedly upset about the reboot, with good reason. 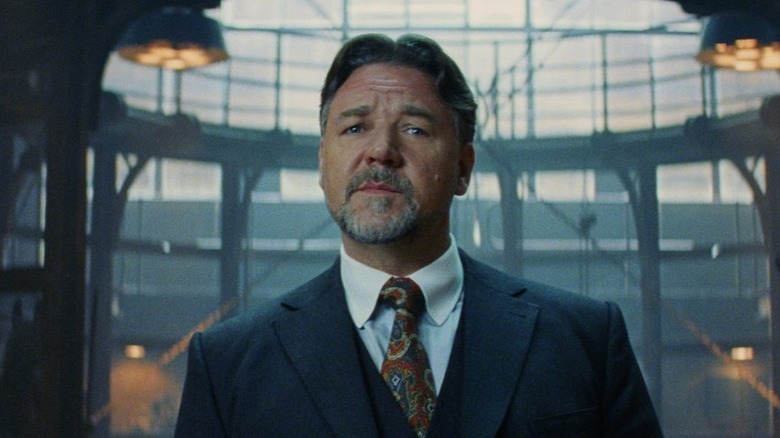 That trilogy only concluded in 2008, and, although the new version calls itself a reboot of the 1930s film, it's hard not to compare it to the more recent movies—and, if you were a fan of the trilogy, it just doesn't hold up. Hollywood has spent the last several years turning increasingly to familiar properties audiences loved in the past, but this year's box office suggests filmgoers might be getting tired of reboots and revivals. Guy Ritchie's King Arthur: Legend of the Sword retreaded a story viewers have heard time and time again—and was rewarded with a dismal $15.3 million opening weekend against a $175 million budget. Dwayne Johnson's Baywatch fared slightly better, but only due to its lower budget; that film opened to $18.5 million on a $60 million budget. Five-quel Pirates of the Caribbean: Dead Men Tell No Tales did better, winning its opening weekend with $62.9 million—but still falling far below expectations and garnering the franchise's lowest opening since the original. All of these films had something in common: rotten reviews and bad word of mouth. As successful recent remakes, reboots, and sequels like Beauty and the Beast and The Fate of the Furious have shown, audiences are willing to turn out to see familiar films if they're actually any good. However, as The Mummy has proven, that's easier said than done. 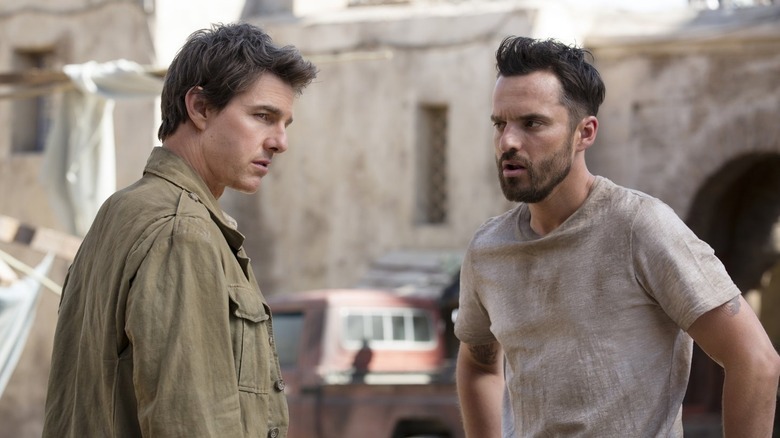 The Mummy is supposed to be the start of Universal's Dark Universe, set to include future characters like Frankenstein and his bride, the Invisible Man, and the Phantom of the Opera, among others. But the studio undermined the whole enterprise's chances at success by announcing it before even making a single successful film, hobbling The Mummy and making it feel disingenuous for audiences. As many of the reviews for The Mummy pointed out, the movie struggles with world-building, leaving the narrative feeling slow and labored, with heavy exposition interrupting the action. Launching the Dark Universe right off the bat without trying to first create a successful, fun film played a big role in The Mummy's overcrowded feel, and could have a negative effect on the rest of the Dark Universe going forward. Internationally, big names like Tom Cruise still sell movies, but at home, data has shown that people just don't care as much about star power as they used to. Recent examples include Dwayne Johnson's Baywatch and Tom Hanks and Emma Watson's The Circle—high-profile flops highlighted by the surprising performances of sleeper hits like Get Out and Split, neither of which had huge names attached. There are a number of reasons for the decline of the movie star. For one thing, more stars are moving to movies on TV and streaming, with huge names like Brad Pitt crafting films for Netflix and people like Matthew McConaughey and Nicole Kidman signing on to prestige TV like True Detective and Big Little Lies. The number of films in theaters is also increasing, meaning that viewers have more to choose from. Gone are the days of a Will Smith blockbuster dominating the box office because it was the only thing out; now, audiences have a choice between television and streaming and going out to the theaters to see a number of openings of all different types. That's not to say star power doesn't matter at all; there are still Smith and Cruise and Hanks devotees who will go out to see everything they make. However, it just doesn't have the same effect at the domestic box office that it used to, and it's less of a sure thing to put Tom Cruise in a movie and assume the whole country will head out to see it. In the week before its release, Universal dropped nearly $8 million advertising The Mummy across TV screens and digital streaming platforms, and even weeks before saw the film spending millions of dollars on ads. Anyone who watches television couldn't have avoided seeing a Mummy TV spot or trailer—and even for those who don't, the movie had posters and other advertisements everywhere. Getting the word out to the widest possible spectrum of filmgoers is obviously any studio's goal with a blockbuster, but audiences may have been oversaturated with Mummy marketing well before the movie arrived. Seeing so much footage beforehand—and hearing about it constantly—may have left audiences feeling like they didn't actually have to go out to theaters to see the movie. Advertising is important, but organic buzz is what can really make a film take off—and The Mummy never really had any. A Fandango poll looking for the most anticipated film of the summer didn't even put it in the top five (it got beat out by the likes of Wonder Woman, Spider-Man: Homecoming, and Christopher Nolan's Dunkirk), while a look at social media buzz on Twitter showed that the film wasn't among the top five movies most often tweeted about during the past few months (it was there topped by Wonder Woman and Homecoming once again, along with Alien: Covenant and Guardians of the Galaxy Vol. 2). The summer box office is overcrowded with huge films, and without word of mouth, it's hard for one movie, even one with an established name like The Mummy, to break out. Despite all of the advertising, people just didn't want to talk about The Mummy—and they weren't in any rush to see it, either. The Mummy faced one of the toughest box office competitors of the summer during its opening weekend: Wonder Woman, the juggernaut that beat the box office with an expectation-shattering $103.2 million opening. 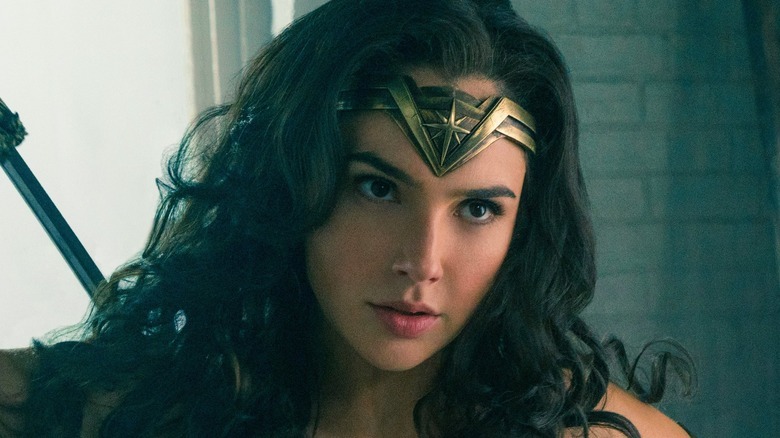 Despite having the smallest opening for a DCEU movie, Wonder Woman used its stellar reviews to earn the biggest second week for any film in the franchise thus far, pulling in $57.1 million and falling only 44.6 percent from its first week in theaters. The Mummy likely couldn't have topped Wonder Woman's second-week grosses even if it had received positive reviews. The superhero flick continues to get stellar word of mouth while filling a void in the historically male-dominated superhero movie genre, and should continue to be tough competition for the remainder of its theatrical run. The Mummy also faced competition on the horror front courtesy of the acclaimed new release It Comes At Night, which earned an 86 percent on Rotten Tomatoes. Although it couldn't beat The Mummy due to a lower advertising budget and less name recognition, the film could still have lured genre enthusiasts away. Hollywood is struggling at the summer box office already, with the lone bright spots being Guardians of the Galaxy Vol. 2 and Wonder Woman. The first four weeks trail an already disappointing 2016 season by almost nine percent. This drop can be partly attributed to the growing assortment of non-theatrical viewing options, with audiences able to avoid shelling out money for a night at the theater unless reviews and word of mouth prove it's really worth the investment. The Mummy had neither on its side, and Universal is left to figure out where to go from here. 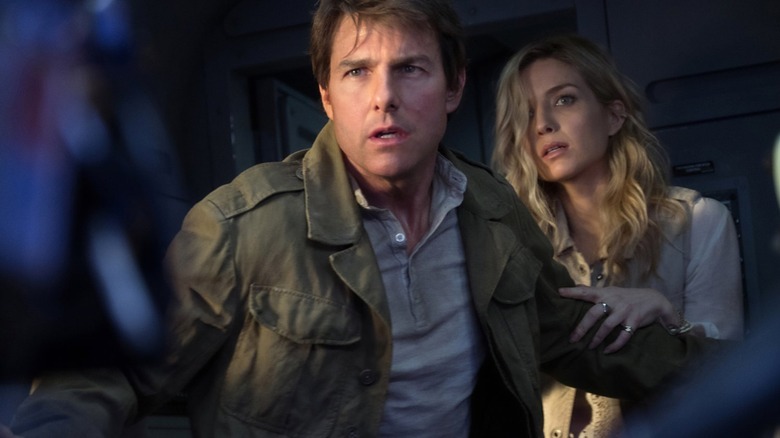 Variety quoted several sources close to production alleging that Cruise had "nearly complete creative oversight" on The Mummy—reportedly part of his contract with Universal, which allegedly allowed Cruise script approval and post-production input, despite the fact that the studio was said to be wary about many of his choices. 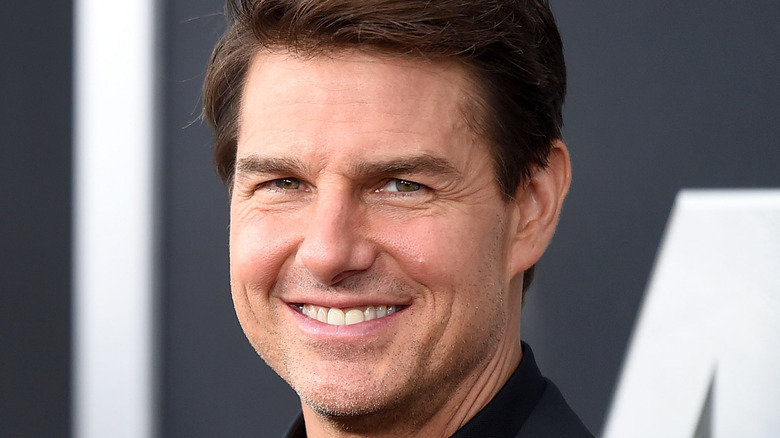 Cruise's efforts to control the film reportedly began as early as the screenwriting process, with the actor bringing on "close allies" Christopher McQuarrie and Dylan Kussman to make his part bigger and give him more of a story arc. He also allegedly acted as the de facto director, as the inexperienced Alex Kurtzman, a screenwriter and producer whose only prior directorial project was the low-budget Chris Pine drama People Like Us, struggled to adjust. Cruise reportedly also oversaw the editing of the film and even had a role in marketing, including deciding on its summer release date. 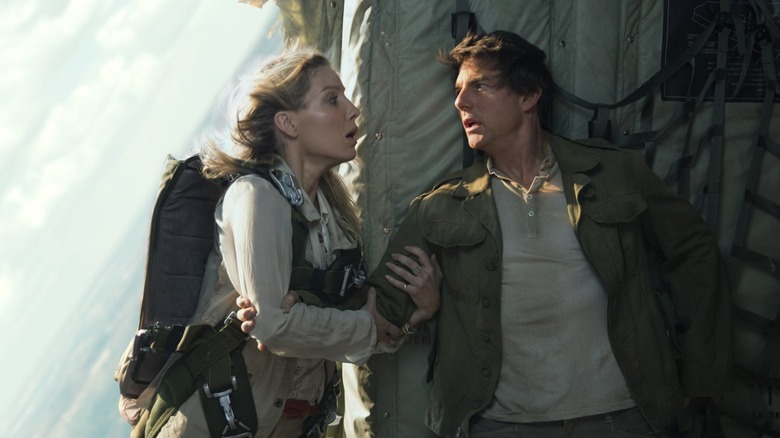 Although Variety notes that insiders knew The Mummy was in trouble from the beginning, there was apparently debate at Universal over whether Cruise's post-production control was making the film better or "turning a horror film into a Cruise infomercial." Universal denies Variety's report, calling Cruise a dedicated actor and a "true partner" in the filmmaking process, while Cruise's reps have declined to comment. It's all unconfirmed, but the rumors are undoubtedly worrisome, and could explain why The Mummy feels occasionally disjointed—especially if the star's vision conflicted with Kurtzman's. Overseas markets to the rescue? The box office market is very different overseas, and it's provided a rescue for quite a few domestic flops in recent years. This looks to be the case for The Mummy, which gave Cruise the largest international opening of his career with $141.8 million. The film did best in Cruise-friendly territories like China, South Korea, Russia, Mexico, and Taiwan, where the star's name continues to carry quite a lot of weight, and audiences are particularly attracted to action and franchise fare. This may offer a lifeboat for the future of the Dark Universe, which has a few other big-name stars attached for future movies (like Javier Bardem as Frankenstein and Johnny Depp as the Invisible Man). Still, The Mummy's scary lack of domestic appeal adds an troubling wrinkle to the future of Universal's monster movie initiative.